I've been really into doing my brows lately as I find that they can really complete any makeup look. I've been shopping my stash lately, and I came across MAKE UP FOR EVER's Aqua Brow* ($24 CAD). I've had this product for quite a while, but I always thought that it was a bit too dark for my light brows. However, since I've dyed my hair dark brown, I've been wanting my brows to be just a tiny bit darker. Now, the shade 10 Light Blonde works wonderfully for me! 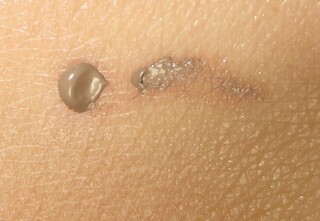 MAKE UP FOR EVER's Aqua Brow comes packaged similarly to OCC's Lip Tars, in a small squeezable tube. I like to apply this product to my brows with either a small angled brush, or a small pencil brush. You do definitely need to use a brush to apply this product, I don't think you'd be able to do this with your fingers. The shade 10 Light Blonde is actually still quite dark, even though it is the lightest shade in the line. I really hope that MUFE will release lighter shades into the Aqua Brow line! 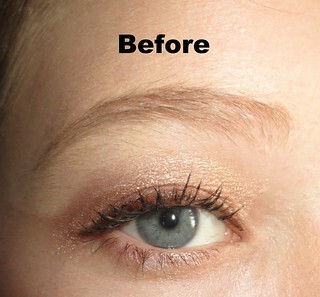 I like to use MAKE UP FOR EVER's Aqua Brow to fill in any sparse areas, and to set my brows. This product has a medium hold, but it doesn't leave your brows feeling crunchy at all. MUFE's Aqua Brow is waterproof, which is a nice added feature. If you have medium to dark brows, I highly recommend checking out MAKE UP FOR EVER's Aqua Brow line. I don't think that this would be the best line for anyone with light blonde or red brows, unfortunately. This tube contains 0.23 oz. of product, and it will definitely last me quite a while. I love that this product feels natural, but makes my brows look more polished and put together. Great review. Come and read my post its a cutie. this is a great product, I have very dark brows but I think they need more hold than filling in but I'd still love to try this product, I love when things do multiple things (hold and colour) it's so much more convenient! This looks awesome! I need something to help fill in my brows a bit!